Perched on the side of a mountain some 50km from the Syrian border, St John's monastery in Lebanon is home to around a dozen hermits and priests. A printing press that published books in Arabic, the world's first, can still be found within its halls. Today, the monastery has become an educational refuge for Syrian children hoping for a future that was removed from them when the regime under Bashar al-Assad indiscriminately dropped barrel bombs on his own people. In one class of around a dozen children, a 10-year old girl calls out the letters of the alphabet in French. Some have never attended school before. Learning French is among many obstacles they face in an effort to insert them into a wider Lebanese public school system where they'll be segregated and most likely bullied. 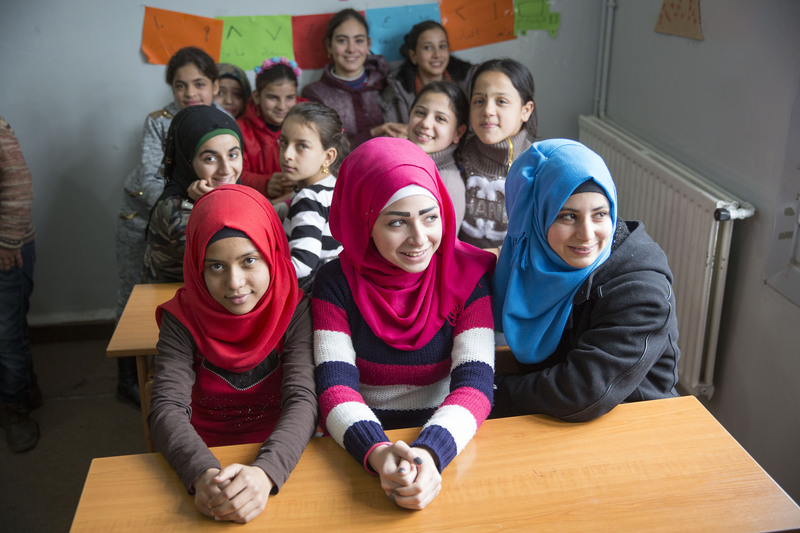 "One of the main reasons why [Syrian refugee] children are out of school in Lebanon is language," said Poppy Alice Hardee, an area manager for the NGO, Terre des Hommes Italia. 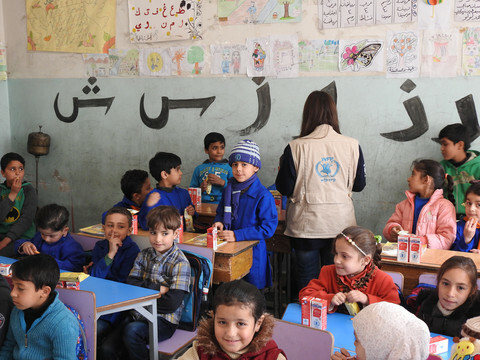 Public schools in Lebanon are taught in English and in French, depending on the area, which puts Syrians at an immediate disadvantage. 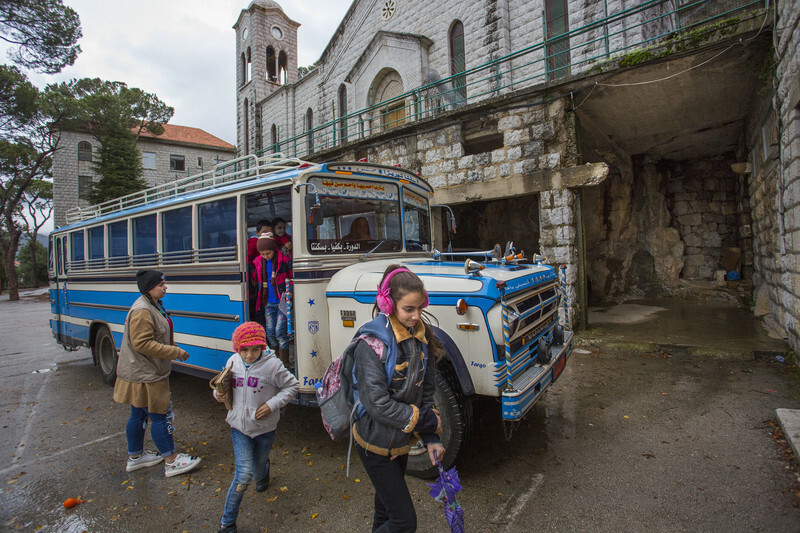 A consortium of NGOs with money from the European Union regional trust fund (Madad) are trying to give the kids at the monastery, where they rent the space, a fighting chance in a country that is hostile to their presence. The consortium, composed of AVSI, Warchild Netherlands and Terre des Hommes Italia, has launched similar school projects in Tripoli in the north and Saida, a town near the south, where they hope to help thousands over the next few years. Some attending their classes, especially those over ten, are also working either on farms or selling goods on the streets. Others have been forced into early marriage. One Syrian mother from Aleppo, who asked not to be named, said her kids finally have a future thanks to the specialised course work. It is a sentiment unlikely shared by those not enrolled in the NGO programme, also known as 'Back to the Future'. Nearby villages requires them to remain indoors when night falls in late afternoon, under a curfew. 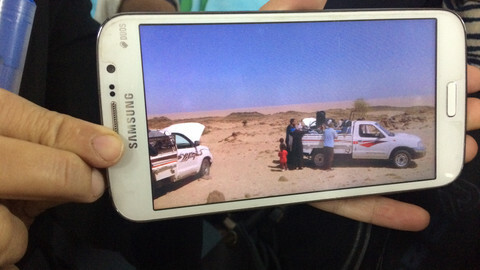 A Syrian father, who also asked not be identified, says people are now having to pay up to $300 to get smuggled in from Syria. Before it was $100. "Returning to Syria is not just about declaring the war is over, there needs to be security and jobs," he says, noting that boys and men caught crossing back into country are conscripted into the army. Lebanon is host to well over a million Syrian UN-registered refugees, although many more are likely in a country whose own population is just above four million. 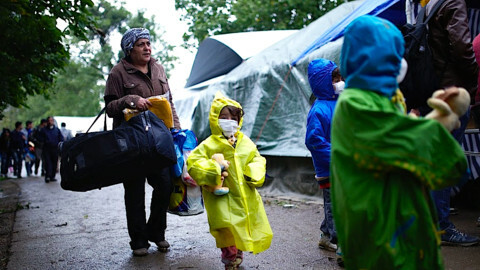 Of those, around 20,000 have been resettled to an EU member state, according to the UN refugee agency. 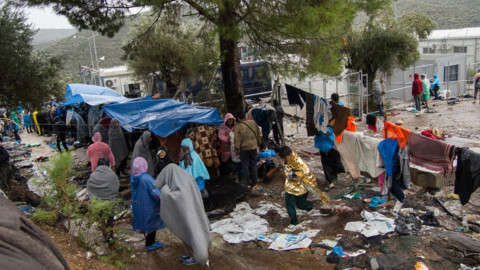 The large refugee inflow has inflamed tensions given stretched resources, an economy in free fall, and mounting pressure ahead of upcoming elections to have them sent back to Syria. "There is a lot of xenophobia, there is a lot of racism and it is very sick discourse," said Maha Yahya, an expert from Carnegie Endowment based in Beirut. She said Syrian refugees in Lebanon are being used for populist ends, and have triggered "an existential crisis for many Lebanese." In September, a town in the north forced Syrian families to leave following the murder of a young Lebanese girl by a Syrian. The collective punishment and pressure has rendered the lives of Syrians, who often live in poor urban areas, even more difficult as municipalities impose curfews that ban them from leaving their homes after dark. Many are not allowed to work over fears they'll take jobs from other Lebanese, with the state imposing expensive permits and bureaucratic restrictions for those that seek to enter into any kind of formal employment. Children are not exempt from anti-Syrian abuse. Hazma, an 11-year old boy in Saida, is often accused of faking his disability and being a beggar. The boy had broken his back after saving his older brother from a reckless driver in the city. He now spends his days in a battered red wheelchair, his withered legs strapped together below the knees. Asked what he hopes to become later in life, he falls silent, his mother unable to afford proper medical care. The latest political upheavals affecting the region and the country appear to have somewhat eased pressure on the strained community. Often at the blunt end of populist discourse, the issue of refugees moved out of the public spotlight following prime minister Saad Hariri's three week 'exodus' in Saudi Arabia. Hariri had announced a surprise resignation in the Saudi capital Riyadh early November - only to rescind it last week in Beirut. In an interview with EUobserver, the EU's ambassador to Lebanon Christina Lassen described it as a reprieve for the Syrians forced to flee their homes. "As far as we can tell, the refugee situation was not affected by the political crisis around Hariri's resignation. If anything, the strong focus on the political crisis in the past few weeks caused less debate about the refugee presence," she said. 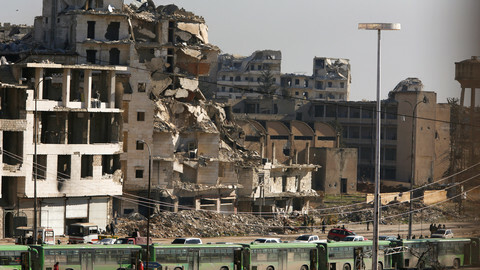 Most want to return but remain fearful of a regime that had indiscriminately destroyed their homes and families with barrel bombs and Russian fighter jets. "I love my country but there is nothing to go back to," Hala Wardee, a 40-year old Syrian mother from Homs, said in Tripoli. Wardee's husband made it to Germany by crossing through Turkey before the EU cut a deal with Ankara last year to keep others from doing the same. She has had to care for her crippled seven-year old child Tala and several other older daughters on her own ever since. Asked what she misses most of Syria before the war, Hala breaks down. "My family. Here I am alone," she says. Hariri's fractured government and Saudi-backed allies wants people like Hala to voluntarily return to Syria. But government coalition partners, such as the Iranian-backed Shia group Hezbollah, are more direct in their demands to send her to a country they helped destroy. Hezbollah has fought for Syrian president al-Assad's government, is the only armed militia group in Lebanon, and is more battle hardened than the Lebanese army. 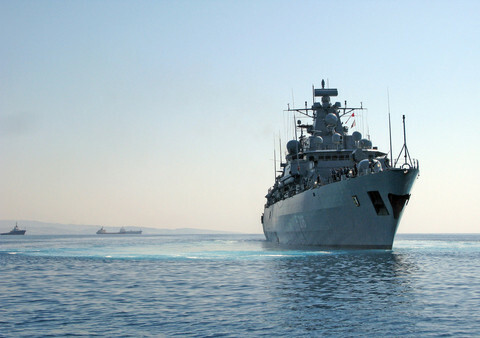 Few refugees have made any efforts to try to take boats to nearby Cyprus. Yet Cyprus - at 200km away, the nearest EU member state - only recently announced it would finance a search and rescue centre in Lebanon, which the EU says it is not involved in. Julien Barnes-Dacey, an expert from the European Council on Foreign Relations, a London-based think tank, said Sunni, Shias, and Christians in the country, despite rifts, still manage to keep the peace. "Lebanon is a model of what is happening right across the region with different parties working together, prioritising stability over confrontation," he said. The prime minister is Sunni, the president is Christian, and the parliament speaker a Shia. The EU finds itself in a delicate balancing act within a mix of competing interests. As a top donor in the region, it has doled out some €1.2 billion to help refugees and host communities in Lebanon over the past few years. But EU aid is not limited to refugees. The EU is also working with the Lebanese to tackle security and counter-terrorism inside the country and has shored up millions for border management. Among the big issues are recurring assassinations, and violent flare ups in the Ain al Helweh, a Palestinian refugee camp in the south of the country. Lebanese security agencies have also managed to dismantle sleeper cells affiliated with the jihadist groups like the Islamic State or Jabhat Al Nusra. 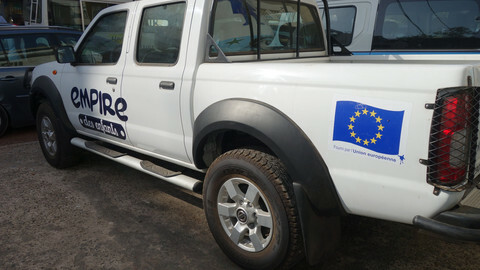 Around €7 million worth of equipment from the EU were supplied over the past ten years for the effort. "The stability for Lebanon is not just capital for its inhabitants, it is for the whole of region, already affected by violent conflicts," said French president Emmanuel Macron last week in Paris, along side Hariri. Despite EU aid, Syrian families are finding it difficult to integrate into Egyptian society, with reports now emerging that some Syrian girls are subjected to genital mutilation. The EU is diverting an increasing proportion of spending towards conflict and security - to the point it has in the last decade outpaced all aid growth. Most refugee-related services are outsourced to the private sector and NGOs, which are not adequately monitored and evaluated. When governments and EU institutions provide funding for refugee projects, they should scrutinise the NGOs and private players they work with.